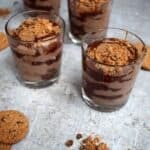 – Mix the soft cheese, chocolate spread and icing sugar in a bowl. Set aside. – Whisk the double cream and vanilla and fluffy. Stir in the chocolate mixture. 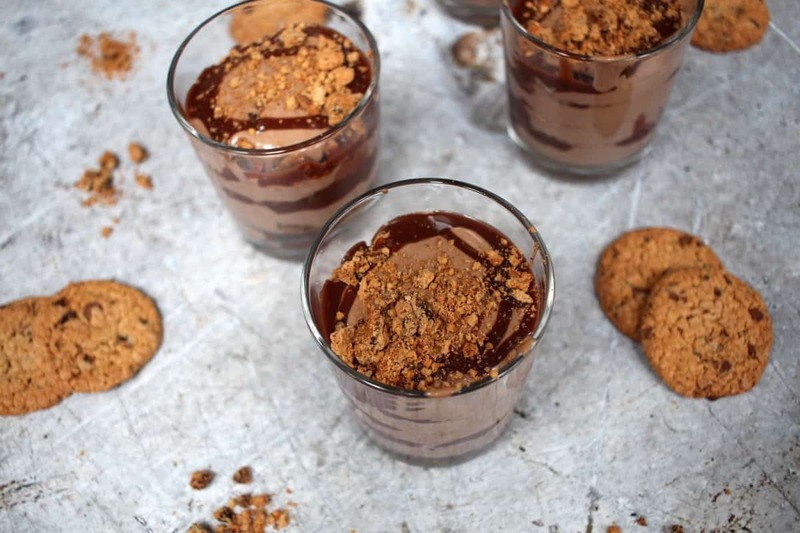 – Crumble the cookies into a bowl. 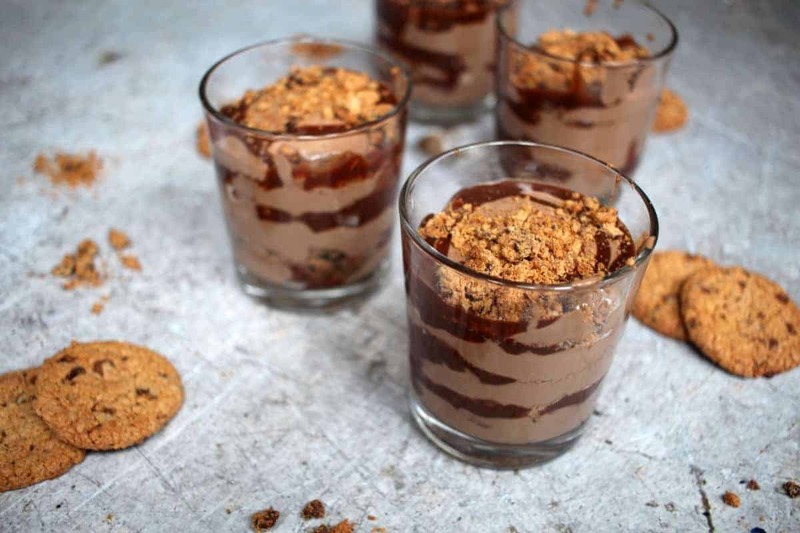 – Add a layer of crumbled cookies to dessert glasses. – Next, add a layer of chocolate mixture. – Add a squirt of chocolate sauce. – Repeat the above layers until the glasses are full, finishing with cookies. – Chill for at least 30 minutes before serving. 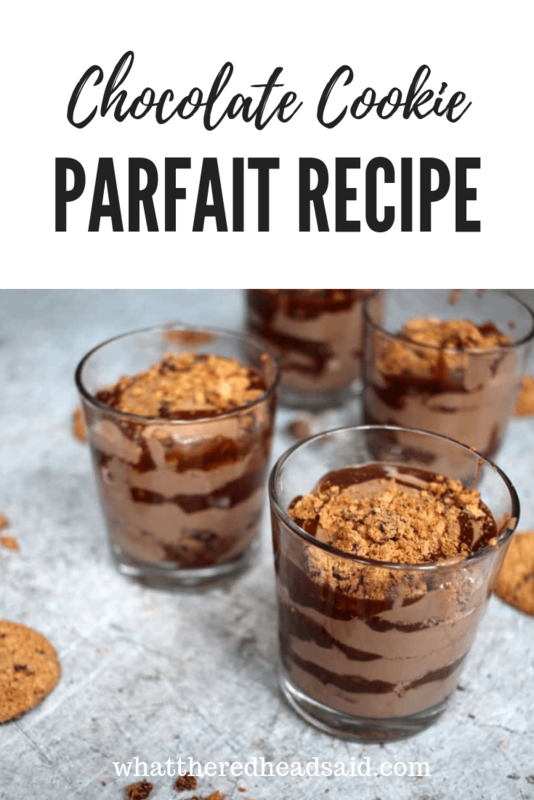 If you’d like to print or pin the Chocolate Cookie Parfait Recipe for later you can do so below. Enjoy! 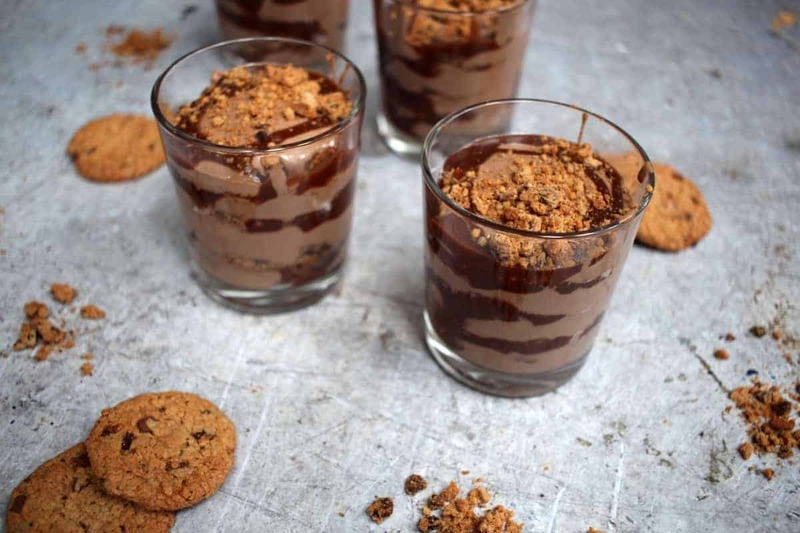 We love dessert in our house and this is one of our favourite desserts to make. It’s quite simple, doesn’t take too long and can literally be thrown together.